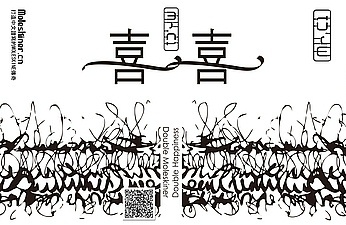 Chinese kanji and digital calligraphy. One of the two designs I worked for Moleskiner China in last October. 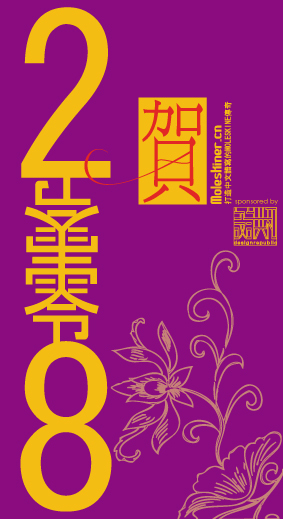 Talking about Chinese New Year, almost forgot about this submission, to the blog of Moleskiner China last year. 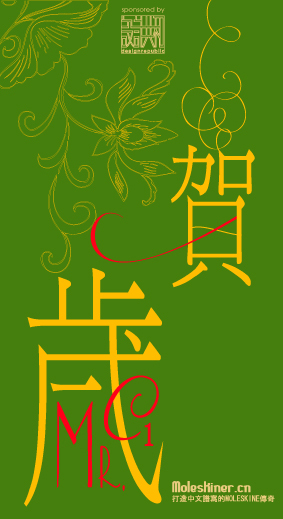 Celebrating the blog's first anniversity in Chinese characters. A new attempt of combining digital, calligraphy and Kanji. I alｗays enjoy reading Tokyo Art Beat, then what I found out last night was this REALLLY clean and bilingual site called AQ, specially featured in typography and design ! I enjoy it so much, hope you too. By the way, talking about typography, I was working on this a week ago. A page to celebrate two heartfelt days. WHEN YOU SLOW DOWN, YOU'LL START TO KNOW HOW TO SEE AND NOTICE MORE. Relax, relax and relax. By doing this, you can start to FEEL, not to just WRITE the form of letters. You are the instrument of your body. What a heartfelt and touching sentence. Ewan's workshop taught us how to become a "real" human being able to SLOW DOWN, SEE and FEEL our life and calligraphy. This two day workshop was much more than I expected, thank you so much for bringing us this wonderful lecture of "expression" and "movement". What impressed me the most was how you connected and introduced the relationship of LIFE, CALLIGRAPHY and TIME. Your workshop was not only teaching us calligraphy but life. Again, thank you so much from the button of my heart for offering such a precious time, very much looking forward to seeing you again in Tokyo. Sharing with you SEVEN artists I always inspired by, picked from www.Flickr.com, The first one on my list is Lucrecerb. 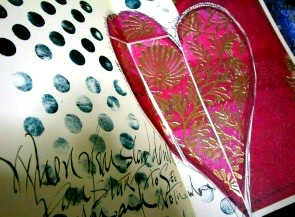 Love the way she played with scrapbooking material on her art journal. Love the colors she chose. 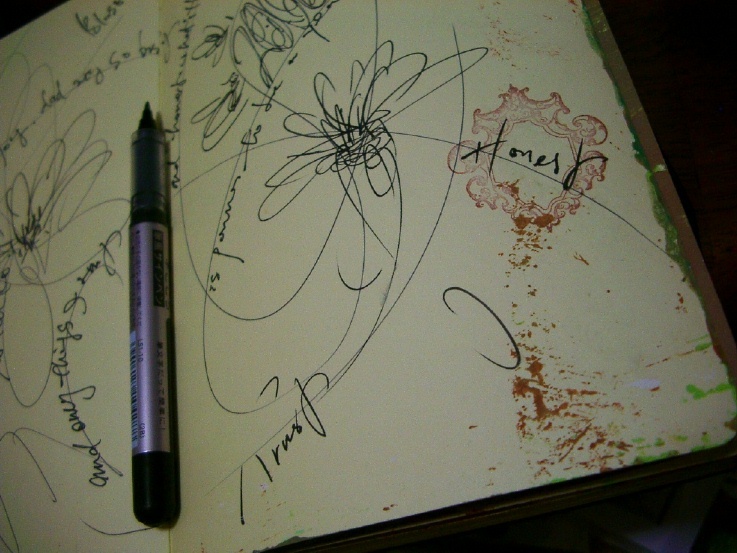 Love the "messy" way she wrote.